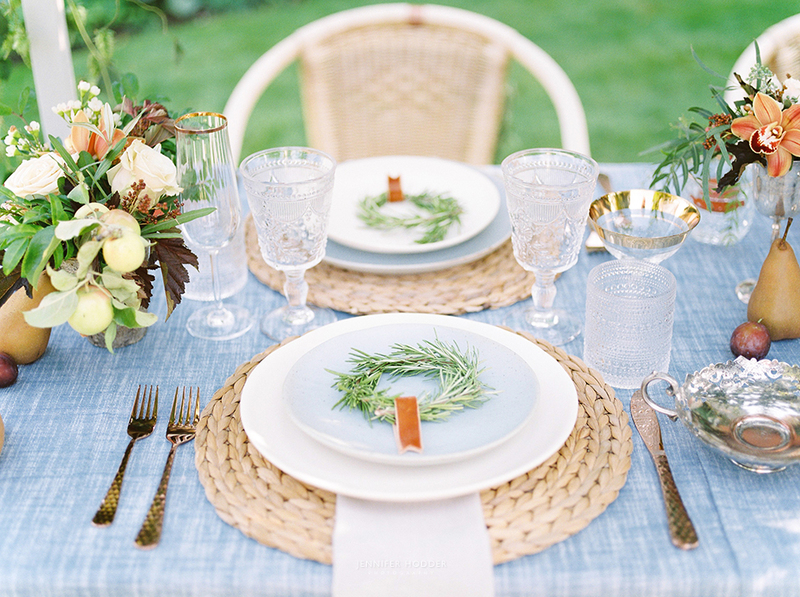 The handmade arrangements paired wicker chargers and miniature rosemary wreath place-settings flawlessly. 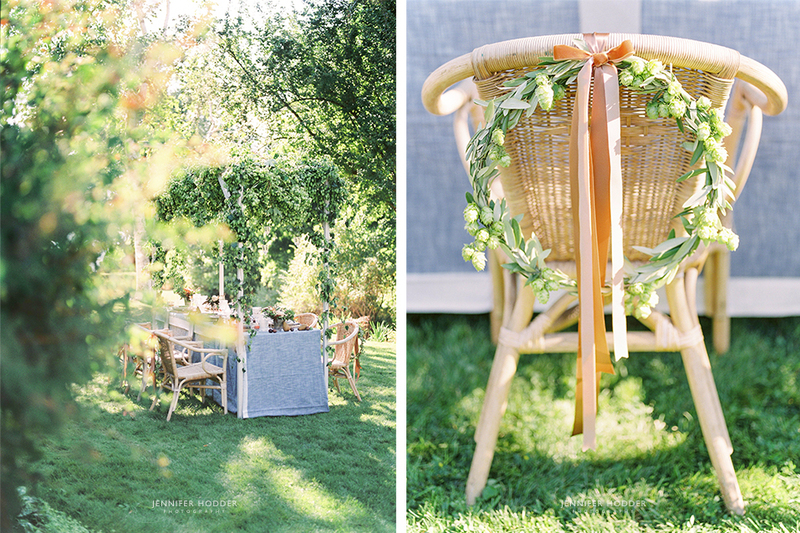 Terracotta silk & velvet ribbon bows were tied to each wreath on each guests wicker chair. 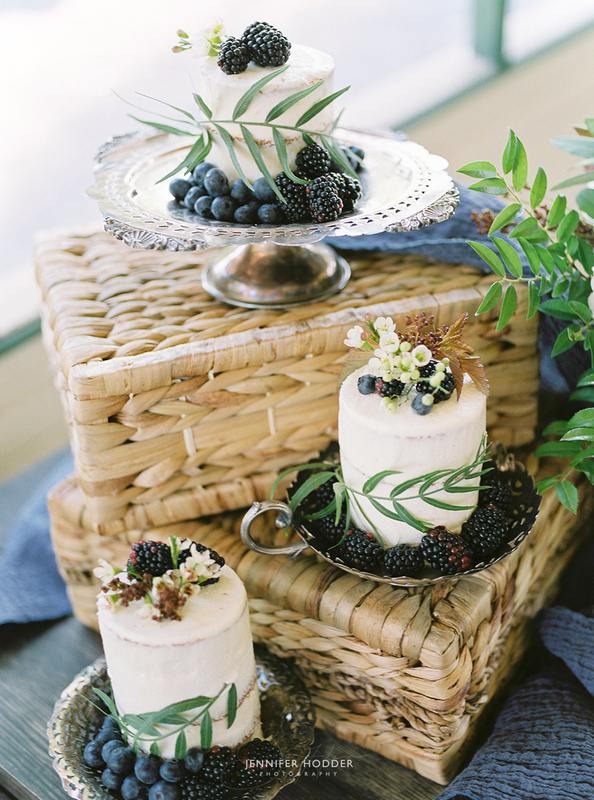 the tinniest, decadent personal cakes were adorned with fresh berries and little sprigs of greenery. 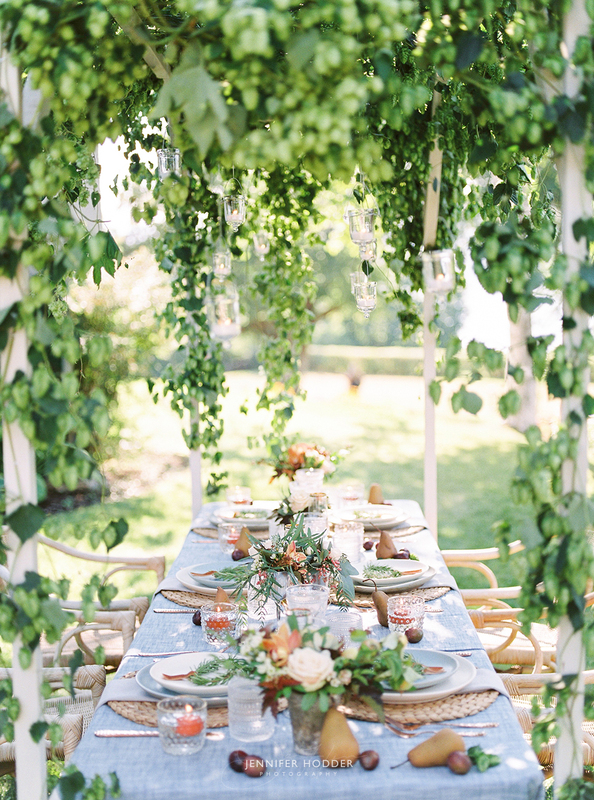 Picnic Bakery and Catering are in a league of their own! 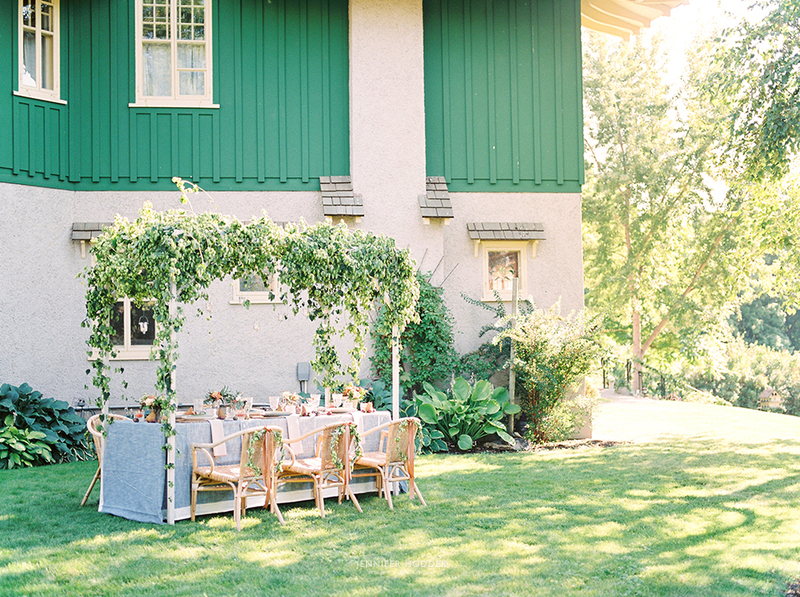 This decor is every wedding photographer’s dream. 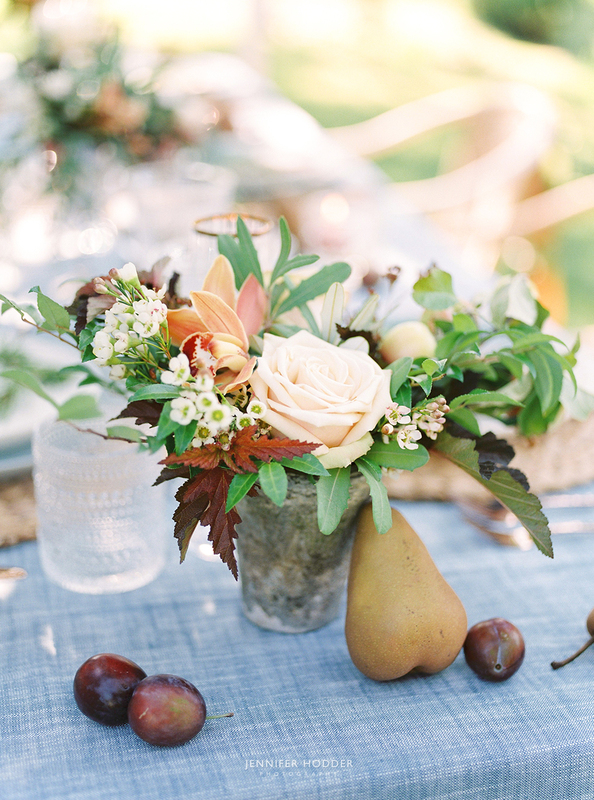 It’s soft and romantic, with amazing colors, arrangements and details. It was a real treat to have been given the opportunity to capture Vintage Origami’s design on medium format film. These are the photos I look back on when I need inspiration. 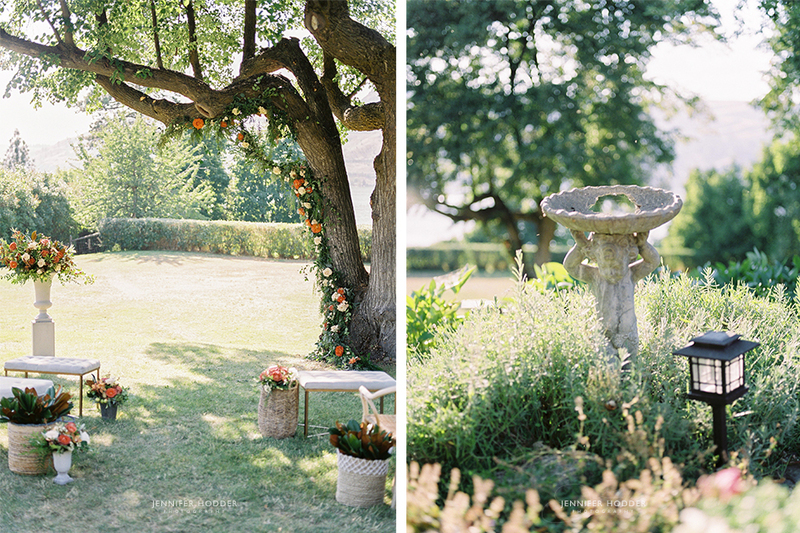 Thanks again to Yuriko and Erik for being so amazing!